I have been creating collaged paintings with rescue blankets. The blankets were painted using black gloss to give them a shine and cut to form wing like shapes.These shapes arose spontaneously like appendages of a birds wing.The serated edges are jagged and spikey. I wanted them to look like feathers giving a mottled effect. I have collaged them on to a gloss black background. Black is significant as the cover of darkness when migrants make the perilous journeys. The black signifys the vastness of space, eluding to their uncertain future . It could also be the body of the starling . 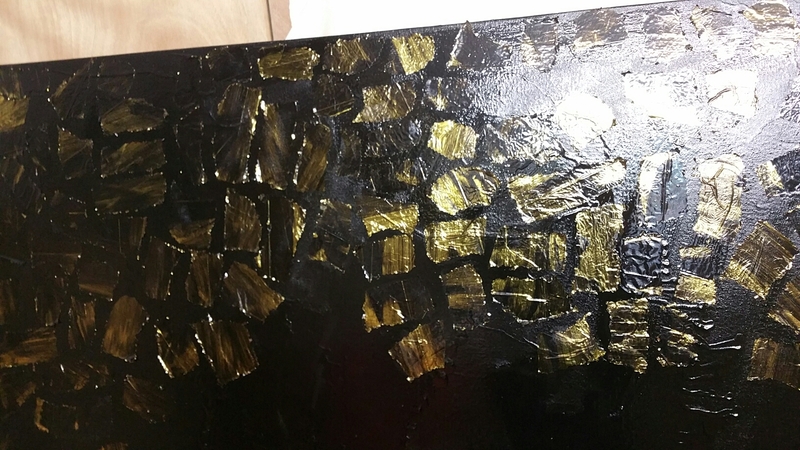 I wanted the painting to look like starlings wings that have flickers of gold pigment that catches the light. Yet, sticking to my theme of migration conjures up images of migrants making perilous journeys. Like the people who float in rubber dighys wrapped in gold blankets. 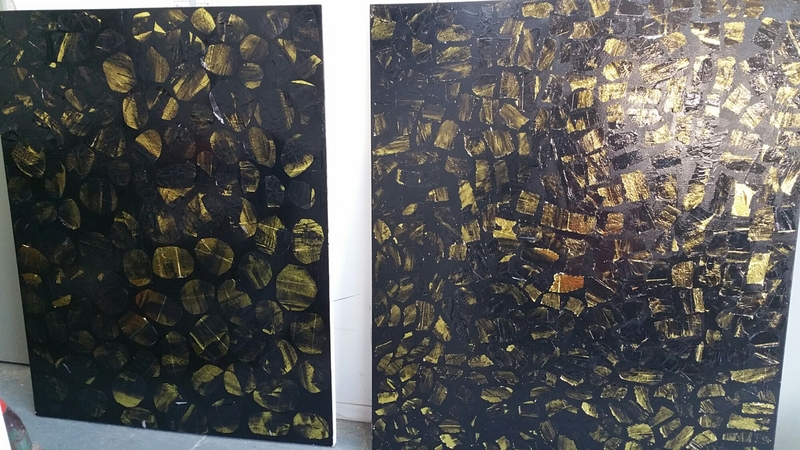 I wanted a black background almost like the sea in the dark like an oil spillage with a floating sea of gold fragments. From a distance the painting looks like a swarm a bulbous murmuration. 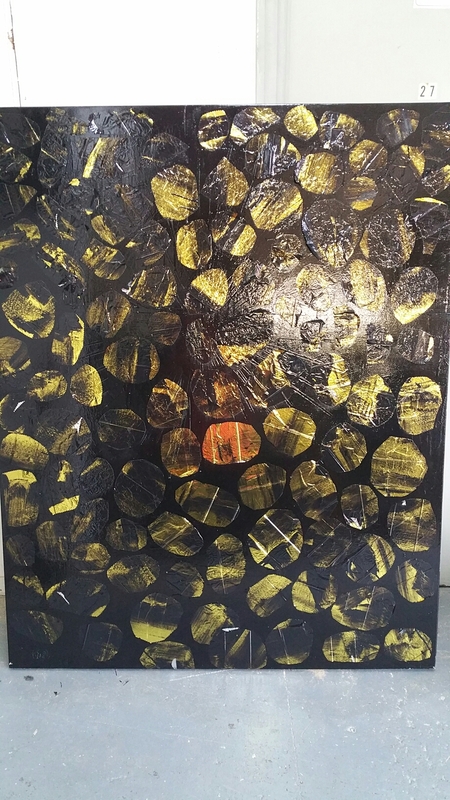 Gold and black paint… on Flicker of Gold.